The name Mat Sinner appears quite regularly when I’m checking out new albums. 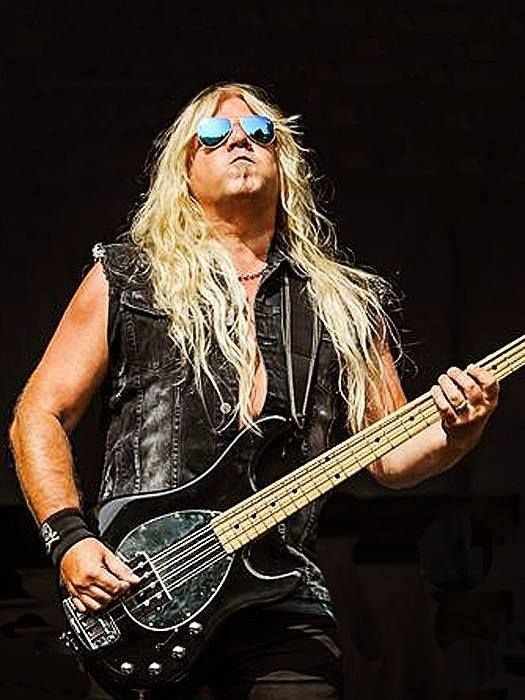 The German bass player is probably best known as a member of Sinner, Primal Fear and Voodoo Circle but is involved in many other projects as well, including the Rock Meets Classic tour. I spoke to Mat via Skype on 21st January to talk about the new Primal Fear album “Rulebreaker” which was released via Frontiers on 29th January. We also talked about other projects that he had worked on recently, about the upcoming Rock Meets Classic tour and more. NI ROCKS – Hi Mat, thanks for taking some time to answer a few questions for Rock Radio NI. You seem to be one of the busiest guys in the European rock scene so there are quite a few things I wanted to chat about. 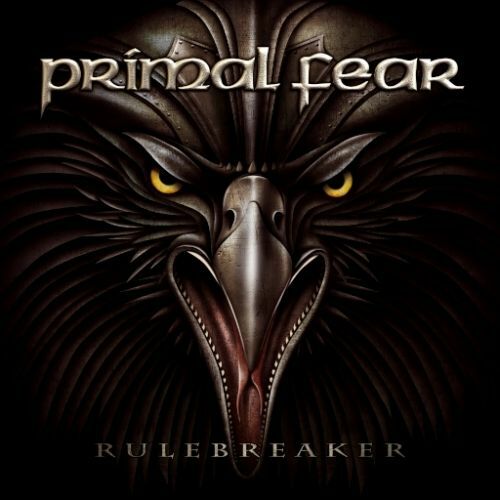 First of those is of course Primal Fear and the new album “Rulebreaker” which is released by Frontiers on 29th January. This is the 11th full studio album from Primal Fear. Where and with who was it recorded and what impact did the return of Tom Naumann on guitar have? MAT – Well, I think this album proves that we can still progress on the production. I think the riffs are great, the single performances are great and we have a great guitar sound this time. We’ve a new drummer who proves that he is a great guy. We did some little things different this time on the production side of things and in the end I think we have the best sounding Primal Fear record ever and I’m very happy about it. NI ROCKS – I’ve been listening to “Rulebreaker” for a couple of weeks and it’s a great album, but then I think they’re always great! Do you think the sound has shifted a bit over the past few albums though? MAT – I think there was a breaking point. We were going in a direction in 2005 which was more into orchestration and stuff like that, bringing it together with metal. We really worked hard on that and after some time we wanted to go back to how the band sounds natural in the rehearsal room for this album and this proved hard. We found out, playing everywhere in the world, that the fans would like to hear that from us. That was our style and they liked Primal Fear that way. We really wanted to make this better and better. On the new album I think we’ve reached the highest level so far in song writing, performance and sound. So it’s a natural progression. NI ROCKS – It’s now been 10 years and 5 albums since the “best of” was released and over 5 years since the live album. Do you think we’ll see another compilation or live album from Primal Fear soon? MAT – I think we will record a lot of the stuff from the forthcoming tour. I think we’re in great places in the world and we’ll make a lot of footage and we’ll shoot two or three concerts. Early next year there could be a new DVD and live CD of Primal Fear coming out. NI ROCKS – You mentioned you’ve got a European tour in February and a tour of North America and Japan through April, May and June. Any chance we might see Primal Fear back in the UK sometime this year? I think the last time was Hard Rock Hell in 2012. MAT – That was a kind of weird festival but it was nice. It’s really a shame that we don’t find a serious promoter in the UK that could work with us to play more shows there. It’s always possible to play one show in London on a tour but there’s always an off day to get there and an off day back and that is expensive for everybody. I would really like to play four or five shows in the UK. The band is in the best shape ever and it would be really nice to play some great shows. NI ROCKS – The first track and video released from the new album was “The End Is Near”. I’m going to play that now. Could you tell us a little about that track and why it was picked as the first release? MAT – Because it’s a really catchy riff and represents Primal Fear in 2016 in a great way. Also it has a catchy chorus but still a lot of heavy metal. NI ROCKS – As I mentioned at the start you’re a very busy guy. I publish a series of album recommendations on our website and I know you were part of at least three of those in 2015. The first of those was the album “Chapter 1” by Level 10 with singer Russell Allen. I believe that was a partnership that Frontiers president Serafino Perugrino had suggested? MAT – Yes it was. For me it was a really great thing to do because I wrote a lot of the album, I produced the album and I was always a fan of Russell’s voice. He’s a great, great singer and it was a real pleasure doing the album with him. Especially on this album, his vocals are absolutely amazing and I’m proud to be part of it. NI ROCKS – It was a great album. It was called “Chapter 1” – does that mean we can hope for a “Chapter 2” sometime? MAT – I hope that we will find the time. It is always a question of schedules. We’re both very busy guys, but if the time is right it would be an absolute pleasure to do it again. NI ROCKS – Another project that you were involved with was the Kiske/Somerville album “City of Heroes” along with Primal fear colleague Magnus Karlsson. Amanda took some time off to have her first baby last year, but are there plans to record another album with her and Michael anytime soon? MAT – I don’t think it will be soon. Between the first Kiske/Somerville album and the second there was a four and a half year break. We would need that again to give the whole project a fresh approach. The album was very successful. It charted in Germany in the Top 50 so there are a lot of fans out there who love the project and the combination of Michael and Amanda. I was very happy with the album and as sales were good, there is a good chance of a third album. NI ROCKS – Your final release of 2015 was the latest album from Voodoo Circle – the excellent “Whisky Fingers”. The Voodoo Circle line-up includes Primal Fear bandmates Alex Beyrodt and new drummer Francesco Jovino. On a personal level do you get something different out of the various albums that you work on? Are all labours of love or do you see it as a job that you do? MAT – No, I’ve been in this band since the beginning and it’s a bit of give and take between me and Alex Beyrodt. We are long time partners and friends. He helped me with a lot of things and I could help him here. I also wrote a lot of songs on this album and was involved in the song-writing and production. So this is a regular band for me. But I have to say my top priority, for me myself, is Primal Fear. That is absolutely clear to everybody. This is my top priority, but Voodoo Circle is a really great band and the band members are good friends. David Readman and Alessandro del Vecchio are good friends of mine. It is not only a band, it’s a great friendship. 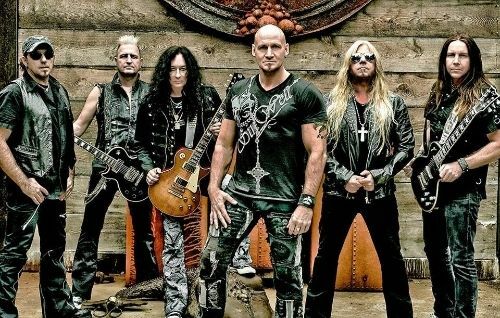 NI ROCKS – We’ll come back to the new Primal Fear album now and play another track. Do you want to pick one and tell us a little bit about it? MAT - If I were to pick a track I’d pick “Angels of Mercy” because it is the album opener on “Rulebreaker” and represents all the traditions of Primal Fear with a lot of lead guitar riffs and screaming vocals. I think “Angels of Mercy” is a nice song! NI ROCKS – A project that you lead on every year now is the Rock Meets Classic Tour in Europe that involves the Mat Sinner Band, the Bohemian Symphony Orchestra and a host of celebrity guests. You’ve had some great guest vocalists in the past. Who is involved in 2016 and when is the tour taking place? MAT – We start with final rehearsals in mid March and go until I think April 20th. This time we have Joey Tempest of Europe, Steve Walsh of Kansas, we have Thin Lizzy (Scott Gorham and Ricky Warwick), Midge Ur, Doro and the last concerts I think of Dan McCafferty of Nazareth who will sing some stuff as a very special guest. We have the Sweet with Andy Scott and Pete Lincoln there to play some really crackin Sweet songs. So it’s a three hour event and a very nice thing to do. It’s always a big challenge; getting lots of musical styles under one roof. For me the biggest challenge is to play with an orchestra – which combines the two ways of making music together. Whoever stands on the stage and listens to the band and the orchestra play together – it is so amazing. I’m really thankful that I can do this job. NI ROCKS – It’s a great project and one I’d love to see. Have you ever thought about doing a DVD of those concerts? MAT – Of course, we’re always thinking about doing a DVD, but there are so many managers, so many record companies, so many publishers that so far it’s been impossible to get everybody at one table and have everybody happy with the share. We don’t give up though. There could be. NI ROCKS – Where did the inspiration for Rock Meets Classic come from and has it exceeded your original expectations? MAT – Well it was planned on a birthday for Manfred Hertlein who is one of the biggest agents in Germany. He had the idea a long time ago to bring rock and classic together and the missing link was a musical partner to do all the music, the direction and the show for him. I was there and we talked a lot and said we’d try to get it started. The first tour we did in 2010 was a learning process and very interesting. In 2011 it was a really big tour and everybody loved that. We had Ian Gillen of Deep Purple there as our headliner and the Deep Purple music with the band and the orchestra was really really nice. That was the real start and from then on we’ve had really fantastic guests. We’ve had Steve Lukather from Toto, Paul Rodgers, Alice Cooper and so on. It’s really nice every year to do this; it’s a really exciting event and I’m really happy to be involved. NI ROCKS – Your own band Sinner has been recording for over 30 years. The latest album in 2013 was “Touch of Sin 2” which was a partial revamp of the original 1985 album. Are there plans for another album in the near future? MAT - I already have written the album, I just need some little things. I’ve already talked to the record company about a release date. I think I will find the time over the summer to do this and record a new Sinner album. For me it’s a nice vacation to do this (laughs). NI ROCKS – With the upcoming Rock Meets Classic and Primal Fear tours taking you right through to June you probably have very little time for any other projects until later in the year? Other than those we’ve talked about is there anything else that you’ve been asked to get involved in or that you want to do yourself? MAT – I get asked to do a lot of things, but this year it will be a hard job. I think I’ll be on the road until mid November and if I can fit in between the touring my Sinner recording I will be very happy; and that’s it for now! If there’s a really big band coming up that I would really love, then I could fit it in between, but without that I think I have enough music. NI ROCKS – Being so busy, do you get time to listen to other music and what do you find yourself listening to? MAT – I listen to every kind of music. Classical music and rock music. At the moment I’m listening a lot to The Eagles and David Bowie because of the current situation, but I listen to every type of music; even new music and new artists. I think James Bay is a phenomenal new artist with one album out. I think he is doing a really great, basic kind of music and I love this pureness. To go on stage and rock it up, I think is great. NI ROCKS – Thanks again for taking the time to talk to us. We’ll finish with another track from “Rulebreaker”. Would you like to pick another? MAT – We’ve had “The End Is Near” and “Angels of Chaos” so I’ll pick “Rulebreaker”.